Professor David York holds the chair of Structured Particulate Products in the department of Chemical Engineering at the University of Leeds and is also Director of the High Value Chemical Manufacturing hub which is focussed on increasing the interactions between the university academics and industry to drive research and impact. Part of this work included setting up and managing the Strategic Partnership with P&G (Procter and Gamble). 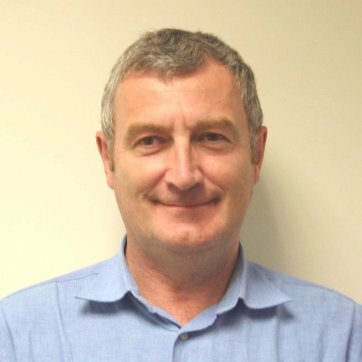 He has worked with the UK’s Knowledge Transfer Network to help develop proposals for a National Centre for Formulation and also sits on the IChemE Research Committee developing a strategy for chemical engineering research in the UK. David is a chemical engineer with 35 years’ experience in industrial R&D inside P&G, has sat on the Strategic Advisory Network of the UK’s Engineering and Physical Sciences Research Counci) and chairs the industrial advisory team for the University College London Innovative Manufacturing Research Centre in macromolecules. He is a visiting professor at the Universities of Birmingham and Bristol and is both a Fellow of the IChemE and the Royal Academy of Engineering.